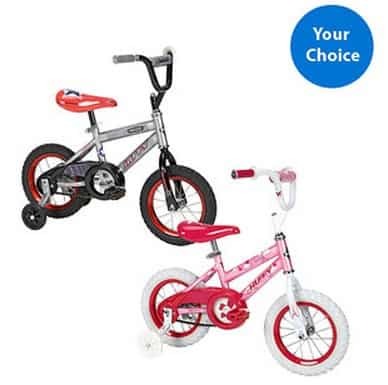 The Huffy 12″ Bike for a Boy or Girl is on sale for $35 at Walmart.com right now. Great price if you need a bike or two for holiday gifts! Shipping is FREE if you choose Site to Store or ship FREE to home with $50+ order.